The Echele Ganas project portrays the way of life left behind and reasons for leaving by people from Puebla. Many have now made new lives for themselves in the US. Salzmann entitled his project, "Echele Ganas," because when he asked people in Puebla to send a greeting to their relatives in the states through the videos he was shooting in tandem with his photographs, they always extended their gentle counsel of "Echele Ganas," literally meaning, "Do your best." Indeed, their advice was heeded; their expectations were fulfilled; in most cases their relatives did their best in the United States by trying harder, which is another meaning for "Echele Ganas." 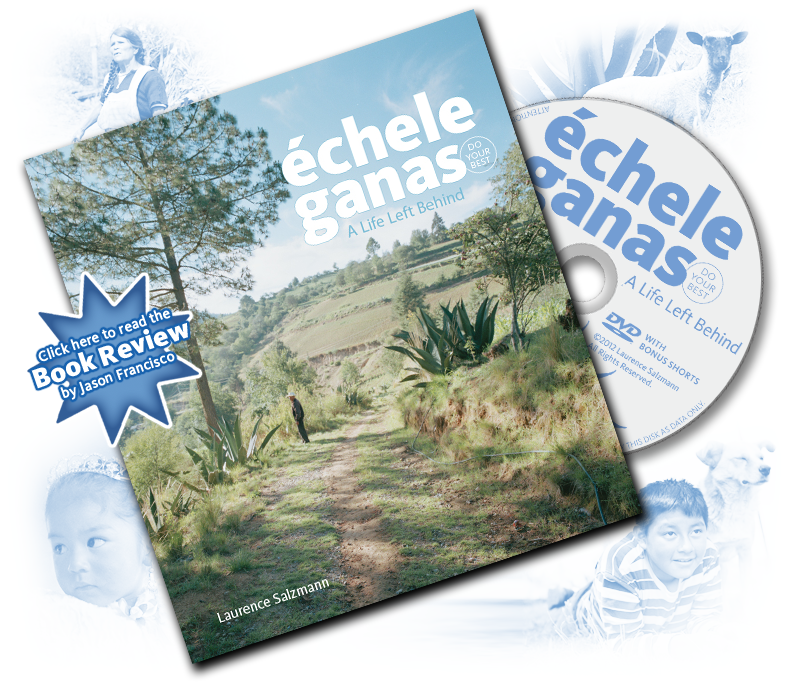 Thanks to all who contributed to USA Projects to make the printing of the Echele Ganas book possible. Echele Ganas: A Life Left Behind is published by and can be ordered from Blue Flower Press.